Construction employment totaled 7,173,000 in February, a gain of 61,000 for the month and 254,000, or 3.7 percent, over 12 months. Construction employment increased by 61,000 jobs in February to the highest level since June 2008 as rising pay rates enabled the industry to attract more workers, according to an analysis of new government data by the Associated General Contractors of America. However, association officials cautioned that the Trump administration's newly imposed steel and aluminum tariffs have the potential to undermine future employment growth for the sector. Construction employment totaled 7,173,000 in February, a gain of 61,000 for the month and 254,000, or 3.7 percent, over 12 months. The economist pointed out that the year-over-year growth rate in industry jobs was more than double the 1.6 percent rise in total nonfarm payroll employment. Residential construction — comprising residential building and specialty trade contractors — added 25,400 jobs in February and 107,500 jobs, or 4.0 percent, over the past 12 months. Nonresidential construction (building, specialty trades, and heavy and civil engineering construction) employment increased by 35,400 jobs in February and 147,200 positions, or 3.5 percent, over 12 months. While the industry added over a quarter-million jobs during the past year, the number of unemployed job seekers with recent construction experience only fell by 49,000 between February 2017 and February 2018. 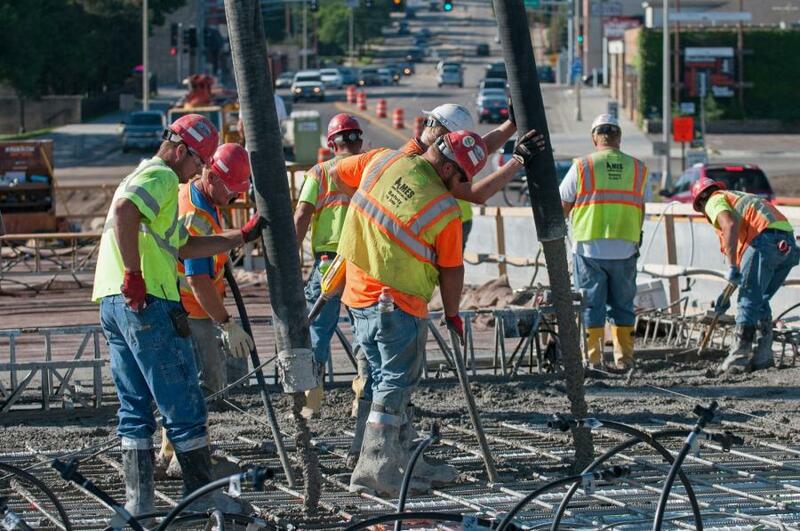 The unemployment rate in construction dropped to 7.8 percent from 8.8 percent a year earlier. This suggests that most of the new hires at construction firms are from other sectors of the economy or new entrants to the labor force, Simonson said. One reason so many people may be leaving other sectors for construction is that average hourly earnings in the industry climbed to $29.47, a rise of 3.3 percent from a year earlier. In contrast, the average for all nonfarm private-sector jobs rose just 2.6 percent in the past year, to $26.75. The construction rate is now 10.2 percent higher than the private-sector average, the economist said. Construction officials said the new employment figures are an encouraging sign that demand for construction services remains robust. But they cautioned that the new tariffs will raise costs for firms, many of which are locked into fixed-price contracts with little ability to charge more for their services. This will leave many employers with less money to invest in equipment and personnel, they added.